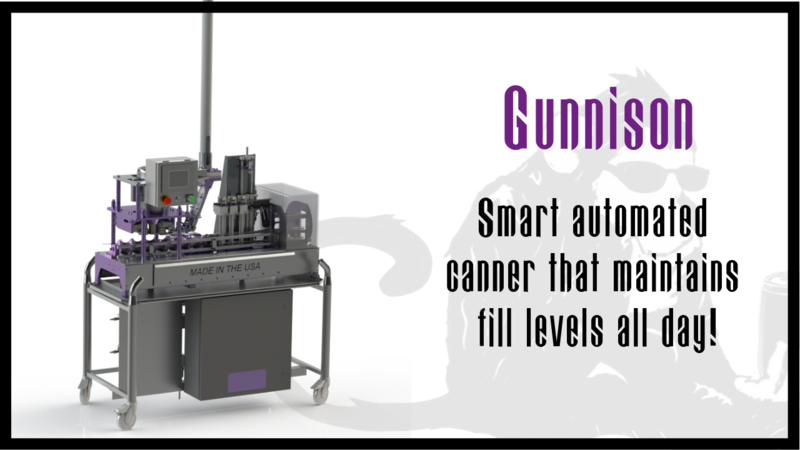 The Gunnison is our most popular beverage canning line. 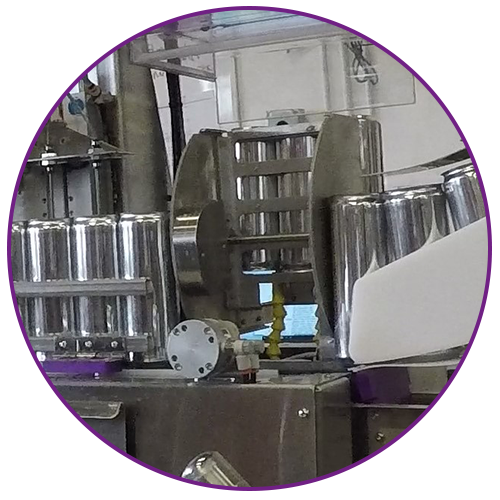 It’s compact, easy to move, handles cans with different diameters easily, and has an option to weigh cans and automatically adjust the fill levels in all cans and reject any underweight cans. This is the Gunnison. The base model comes loaded with nice features, but not will ALL the nice features. 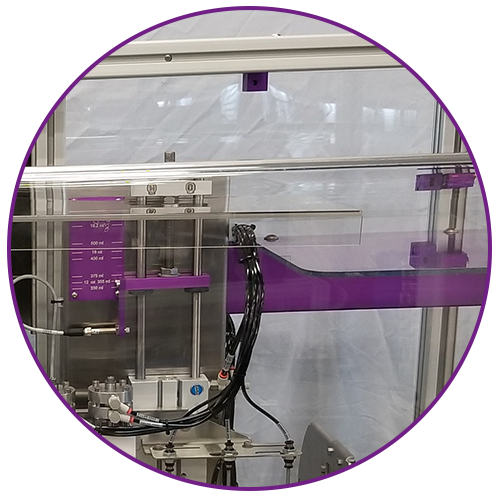 For those whose needs extend beyond the base canner, review the options below for your chosen line to see what we have available “out of the box”. 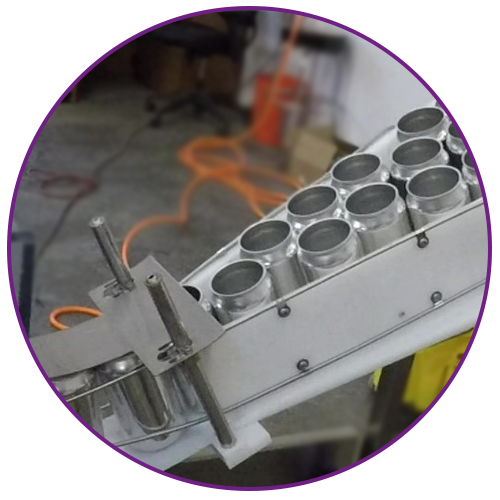 Hand load up to 30 cans and allow them to feed into canner. 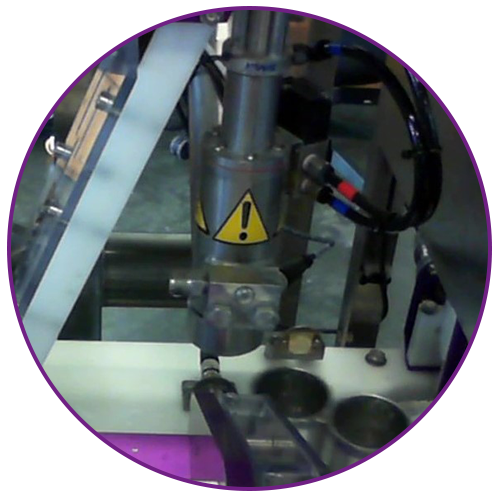 Rinse various can sizes inside the footprint of the canner. 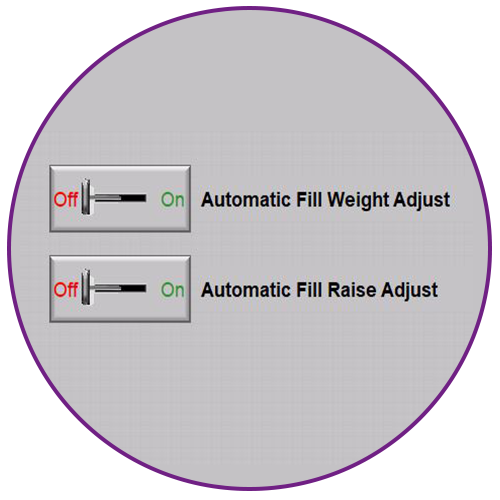 Let the machine automatically adjust the fill levels and reject low weight cans, ensuring proper fill amounts. 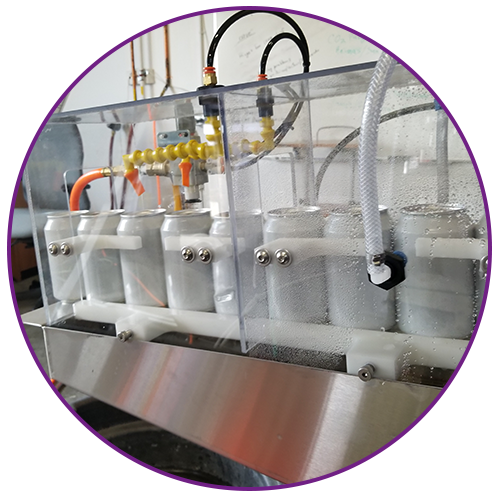 Add a drop of LN2 to each can just before lid apply. 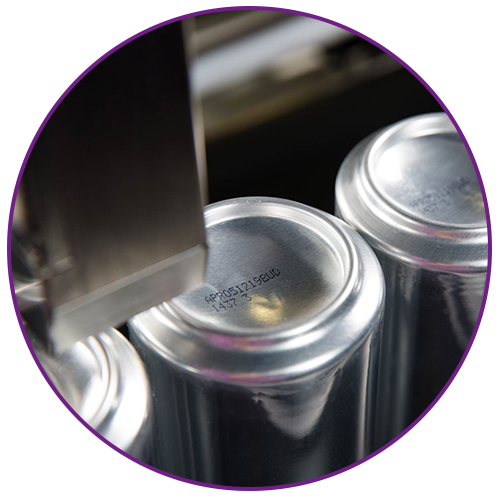 3-line date coding on the bottom of the can prior to initial rinse. 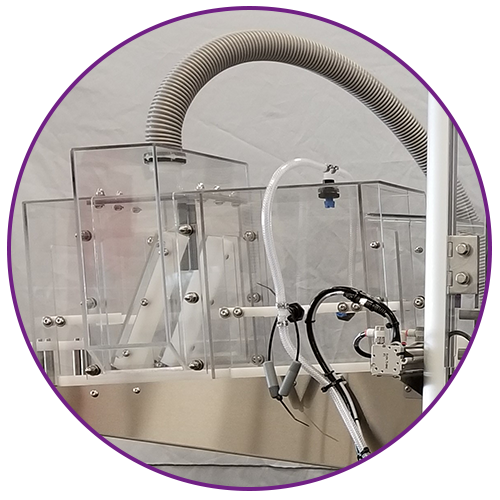 Encloses machine in a clear plastic box.